As Cleveland approaches Peak Taco, arepas are steadily gaining in popularity. 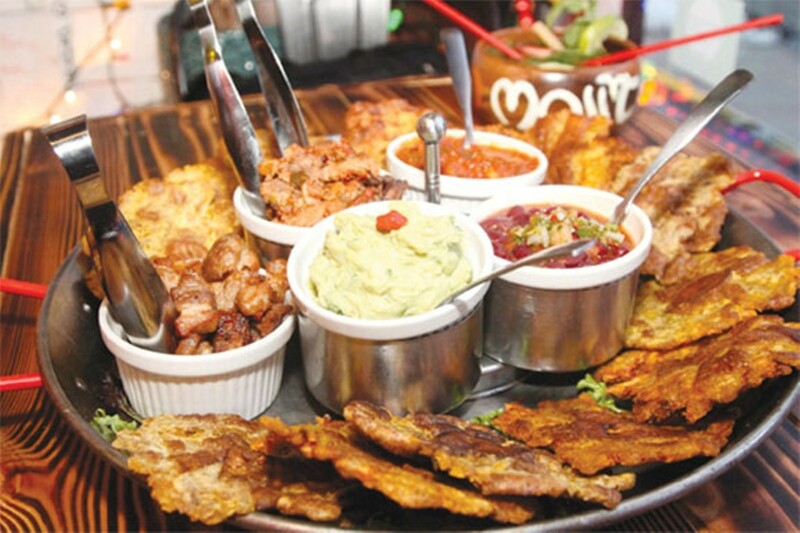 We have Barroco Grill, an immensely fun Colombian restaurant in Lakewood's Birdtown district, to thank for that. A distant relative to the taco, Barroco's arepas are substantially thick, corn-based tortilla pockets that become tasty vehicles for a variety of meat (our pick is chorizo) and cheese fillings. The fun part is customizing those corny sammies with any of the half dozen signature sauces (chimichurri!). With a bar serving strong mojitos, walls covered in graffiti and Latin American art, and frequent live music on the indoor-outdoor patio, Barroco is a one-stop-shop kind of a place for a steamy night on the town. 12906 Madison Ave., Lakewood, 216-221-8127, barrocogrill.com.